Rambo Bikes is a fat-tire motor bike manufacturer focusing on getting hunters into the woods. They wanted an amazing site for their product launch, so naturally they came to Virtual Monk. 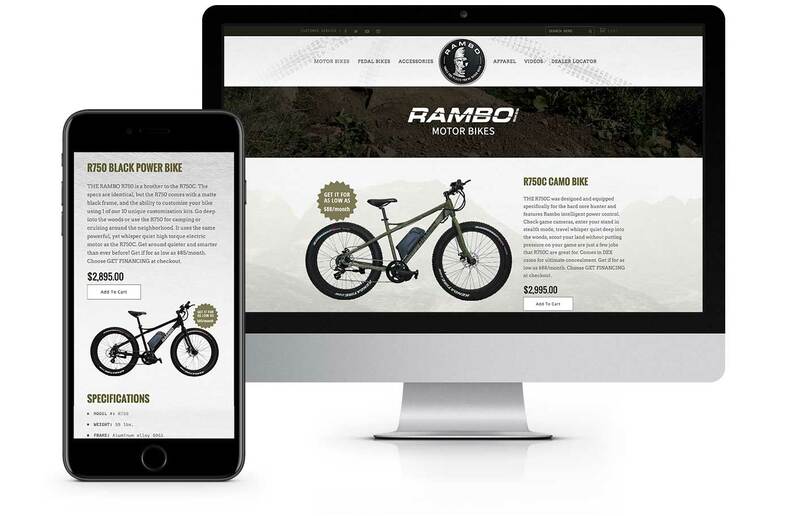 So much got incorporated into this e-commerce website (rambobikes.com), from beautiful custom sales pages, to a dealer locator, an interactive bike parts feature, video backgrounds, credit financing integration and so much more. Rambo even did some of their video work with us including drone videography.